The year 2019 is special for China-US ties. On January 1, 1979, China and the US established formal diplomatic ties. There is an old saying in China that "at 40, one should be no longer confused". It means at 40, we can figure out many things. However, as US-China relations enter the 40th year, it seems far from being "no longer confused". Over the past year, bilateral relations have seen crests and troughs. The trade war was like a raging fire. Voices like "decouple", "new Cold War", "Thucydides Trap" have become shriller. Both countries are facing a tough moment. Once again, Beijing and Washington need to determine the direction of their bilateral ties. 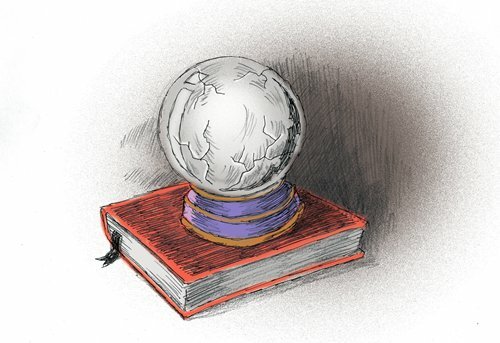 "Consider the past and you shall know the future" goes another saying in China. Reviewing the past helps us know the future. Looking back at the 40 years' of China-US relationship, although bilateral ties have been choppy, there has been historic progress. Forty years ago, the number of visits between the two states was only several thousand annually, but in 2017 it exceeded 5.3 million. Four decades ago, the bilateral trade volume stood at less than $2.5 billion. However, in 2017, it hit over $580 billion. Investment between the two nations increased from nearly zero in 1979 to over $230 billion in 2017. Over the 40 years, Beijing and Washington have cooperated bilaterally, regionally and internationally from solving regional issues to fighting terrorism, from dealing with international financial crisis to promoting global economic issues. Over time, bilateral relations have also seen setbacks. There have been four incidents that have affected ties over decades. The first one took place between 1989 and 1991, when the US slapped sanctions on China, including the suspension of high-level contact and military communication between the two states. Afterwards, more than 20 nations followed the US to crack down on China. Hence, bilateral relations dropped to the lowest point since 1972. The crisis across the Taiwan Straits from 1995 to 1996 was the second one. In May 1995, the US government approved then Taiwan leader Lee Teng-hui's visit to Cornell University in the US. To counter Taiwan independence forces, the Chinese People's Liberation Army (PLA) launched military exercises and missile tests near Taiwan waters in July and August 1995 and March 1996. During the second exercise, Washington warships USS Independence and USS Nimitz sailed into Taiwan Straits. The third crisis was a missile attack on the Chinese embassy in Yugoslavia by US-led NATO on May 7, 1999, triggering the Chinese people's fury. China-US aircraft collision in 2001 was the fourth one in which a US Navy EP-3 reconnaissance plane and a PLA Navy F-8 fighter collided killing Chinese pilot Wang Wei. The US plane landed at Lingshui airport on Hainan Island without China's permission. The four incidents had a huge impact on bilateral ties, bringing them to a tearing point. However, these crises prompted leaders of both countries to invest plenty of time and energy to address these issues by ramping up communication between the two governments and enhancing mutual understanding, restoring normalcy in ties. Experience can offer lessons for fluctuating China-US relations. First, both countries need to seek mutual interest. Positive China-US ties began with common geopolitical requirements. After the Cold War, both nations agreed to strengthen economic and trade cooperation as globalization dawned. Although the two countries are involved in a trade dispute, there is still room to expand economic and trade ties. There is much more to China-US ties than the trade dispute. Additionally, the two have consistently sought common interest in preventing the proliferation of weapons of mass destruction, dealing with financial crises and climate change. These have contributed to the development of relations. Second, as ties are complicated and so are domestic realities, the heads of the two states should play a leading role in dealing with relations. Third, the two governments are supposed to explore institutional links. China and the US are two great powers with diverse social systems, ideologies, cultures and traditions. It is normal that conflicts and problems between the two exist. The key is how to manage them, so that they do not hurt relations. Effective communication between the two governments is one way of coping with it. Finally, social communication between the countries should be expanded. Crises lead to erosion of Washington-Beijing ties, while tackling them not only controls them, but also enables both sides to become more familiar with each other and more aware of the intentions of both sides. With competitive relations, crises and controlling them may be a common course bilateral ties take. Therefore, we need to prepare mentally for such eventualities.